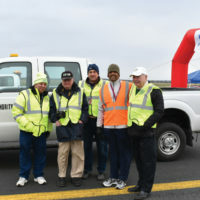 Despite temperatures in the 30 to 40-degree range, heavy winds and the threat of rain, almost 1200 participants completed the 5K runway run, also known as the Bud Heaning memorial run on Sunday morning, April15th. 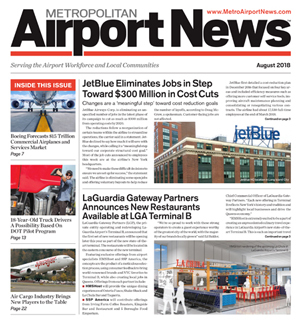 John Selden, Deputy General Manger JFK International Airport, and runner, commented that it would have been closer to 2,000 if the sun were shining. Runners ranged in age from 3 to 79, and included many families, as well as company groups including Jet Blue, Unity Electric, Lufthansa and PALS. Andrew Dearling took men’s first place while Marisa Keiser was the first woman to cross the finish line. It was amazing to see the number of children and senior citizens finishers! 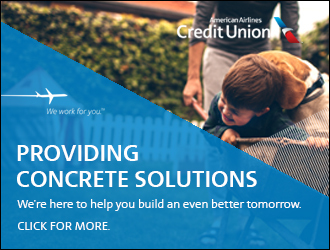 Major sponsors for the race, Jet Blue, Unity International, Duty Free America, OTG, Cathay Pacific, A&R, HMS Host and Finest Service Plus provided banners, refreshments, comfort stations and medals while numerous other companies funded tee shirts and other race essentials. 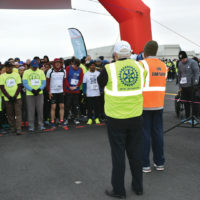 The 5K run, which began in 1974 as a 10K, benefits several Rotary charities. 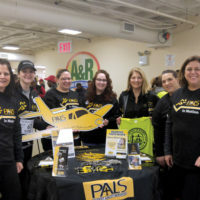 Among them this year were PALS, Patient Airlift Services, as well as the Mill Neck School for the Deaf and the Rotary Foundation. In attendance this year were 10 athletes from Achilles International. They are a non- profit organization which has chapters in over 65 locations within the United States and abroad. Every day, in parks, in gyms, and on tracks all over the world Achilles provides Athletes with disabilities with a community of support. Able-bodied volunteers and disabled runners come together to train in an environment of support and community. While their program focuses on athletics, the truth is, sports are simply a tool for accomplishing their main objective: to bring hope, inspiration, and the joys of achievement to people with disabilities. For more information, go to www.achillesqueens.org. 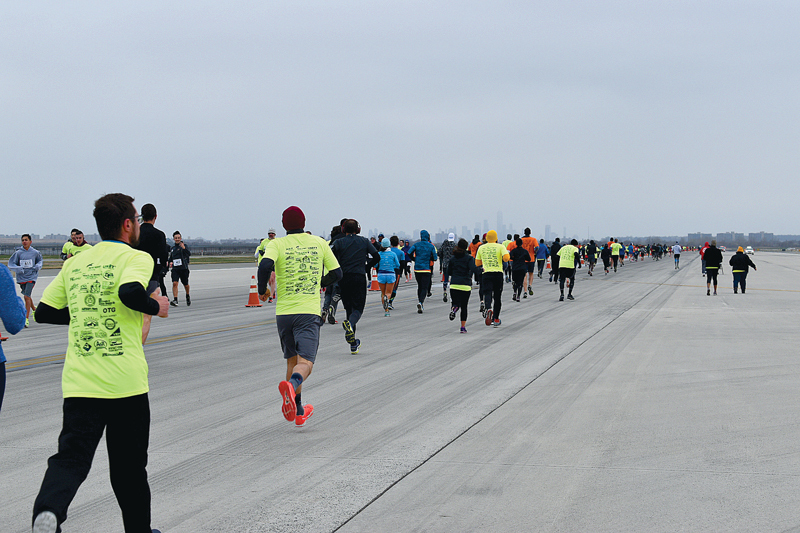 Each year this incredible event continues to grow and attract new participants drawn by the novelty of actually running on a real JFK runway, while repeat runners return for much the same reason. It is a testament to the hard work of the JFK Rotary, and its volunteers, supporters, and donors who donate their time and services that this event runs so smoothly. The Port Authority of NY & NJ deserves much credit and praise for their outstanding efforts in keeping the many runners and spectators organized and secure. Visit www.jfkrotaryclub.org for race results. Visit our Flickr album for additional photos. (L-R) Event Sponsors and Rotary Members: Joe Mora, Royal Waste; Rudy Auslander, Mill Neck School for the Deaf; Anthony Quinn, TNT Industries; Reverend Dabee, Christ for the World Chapel; Ed Dougherty, Unity Electric. Patient Airlift Services (PALS) was on hand to support the runners, and very proud to be the beneficiary for the Rotary 5K Run. 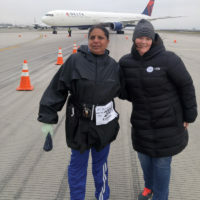 Achilles Athlete Nooria Nodrat with Katie Bliss, Publisher of Metropolitan Airport News and JFK Rotarian as her guide. After graduating from Bard College with a major in languages, Roberta spent a year in Germany and France before joining Trans World Airlines in the early 70’s. At TWA she became the Ambassador and Constellation Club supervisor at JFK. An interest in food fostered by her international travel lead to “Deliciously Dunn”, her catering and gift basket business for 20 years, while still working at TWA. After the demise of the airline, Roberta became the North American sales rep for La Source, a 5 star resort in Grenada. 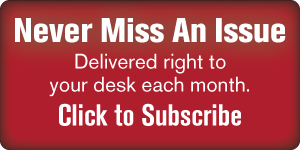 When hurricane Ivan destroyed the island, she went on to work for an airport news publication. Most recently Ms. Dunn is the Skating Director at the City of Long Beach, NY skating rink. Roberta is a US Figure Skating Gold Medalist in ice dancing and has skated since she was 17. Another of her passions is photography and her photos have been used in several publications. Roberta still travels extensively, enjoys cooking and entertaining and skates practically every day. She currently resides on Long Island with her husband Jim and a menagerie of cats.